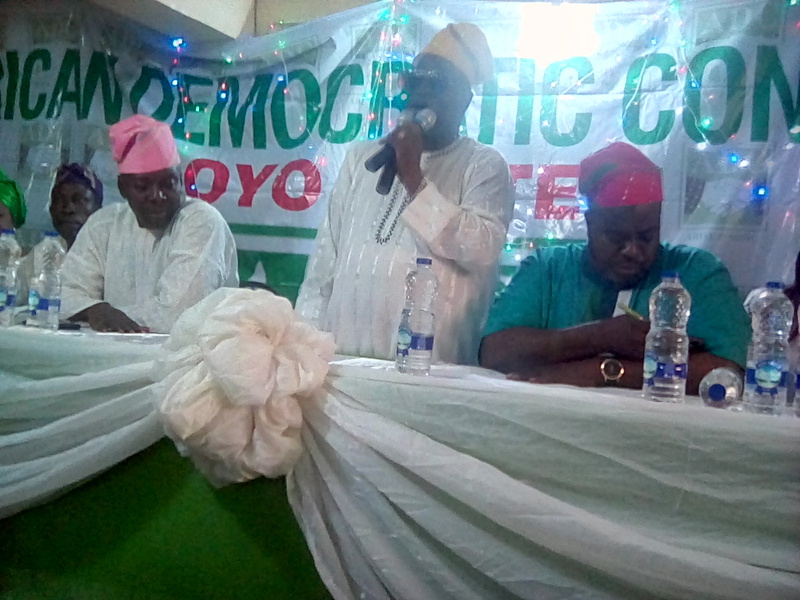 Ahead of the primaries of the opposition African Democratic Congress in Oyo State this week, the State Chairman of the party, Dr. Hammed Ayinla officially unveiled all ADC aspirants for elective positions ahead of the primaries, in a meeting near yesterday in Ibadan. 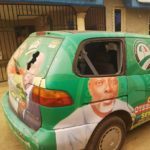 This development came barely 24hours after the gubernatorial primaries of the ruling All Progressives Congress (APC) and the Peoples Democratic Party (PDP) had produced Chief Adebayo Adekola Adelabu and Engr. Oluseyi Abiodun Makinde respectively. The ADC Chairman appealed to the contestants not to see the election as a do or die affair. Ayinla also urged them to always put the interest of the party ahead of their personal interests. 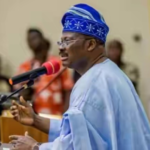 Dr. Ayinla revealed this while speaking at an interactive session between Oyo state ADC executives and aspirants on the platform of the political party, which took place at the party’s temporary office, Old Ice road. The Oyo ADC governorship aspirants are: Raufu Olaniyan, Ambassador Taofeek Arapaja, Dr. Yunus Akintunde, Chief Sharafadeen Abiodun Alli, Senator Olufemi Lanlehin, Dr. Muhammed Kola Balogun, Engr. Chief Ayodele Adigun and Senator Gbenga Babalola. Others include Dr. Nureni Aderemi Adeniran, Mr. Oluseye Opatoki, Chief Festus Adegoke, Barrister Lowo Obisesan, and Engr. Aderemi Oseni. Ayinla also revealed that there are 12 Senatorial aspirants jostling for party’s tickets for the three Senatorial Districts of the state, including Senator Monsurat Sumonu, the incumbent lawmaker representing Oyo Central. The Oyo ADC Chairman added that there are 55 Federal House of Representatives aspirants and 150 state House of Assembly aspirants have obtained nomination forms of the political party. 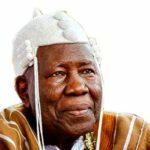 He urged all aspirants for various political offices on the platform of the political party not to see the contest for ADC tickets as a do -or – die affair. According to him, there are so many aspirants in the political party because people believe in the popularity and credibility of ADC. Dr. Hammed, however, assured that the Oyo ADC executives will ensure that the process of choosing party’s candidates is credible and transparent. 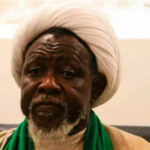 He was, however, silent about the issue of automatic tickets for lawmakers who crossed into the ADC from other political parties, as promised by the national leadership of the party. When asked by journalists if Oyo ADC would give automatic tickets to lawmakers who joined the party from other parties, Hammed said “that is our internal issue”.